Congratulations on being accepted to Kalamazoo College, one of the top private colleges in Michigan and the country! You’ve worked hard to get here. About 98 percent of our students receive some form of college financial aid, ensuring K’s affordability. To discover whether you’re eligible for need-based college financial aid, complete the Free Application for Federal Student Aid (FAFSA) as early as possible beginning Oct 1. 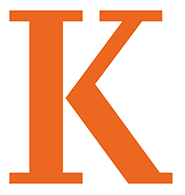 Kalamazoo College’s FAFSA school code is 002275. In some instances, we may request additional information to complete our analysis. Any requests for more information will be sent to your home. I have my financial aid award letter. Now what? Our goal is to make sure you understand your award package and your responsibilities after accepting your financial aid. The following videos walk you through the award letter and explain things in a little more detail. When will I hear about my college financial aid? Admitted students seeking need-based financial aid will be notified of their complete financial aid package after being informed of their admission and a FAFSA has been submitted to the College in accordance with the schedule below. All students who file their FAFSA after June 1 are at risk of losing funding. You don’t need to formally accept your financial aid offer. If you have submitted a deposit, we know that you accept all the gift aid (scholarships and grants) offered. You must submit a copy of your final high school transcript before any aid will be applied to your student account. Please submit this by June 30. Expect an email from the Office of Financial Aid in June with instructions for managing your loans. There are loan fees associated with direct loans. Currently, the fees are 1.069 percent and are deducted from the loan amount before being applied to your student account. Please go to studentloans.gov for additional information about interest rates, disbursement details and repayment plans. If you have questions about how you will be billed and when, please visit the Student Accounts website to find information about bills, payment plans, costs and due dates. You may estimate your costs using our billing calculator for first-year students or our billing calculator for continuing students. The Student Accounts Office also offers a monthly payment plan as another option for paying your bill. Be prepared for the additional costs such as books, airfare, train fare, gasoline and personal expenses. Generally these can add up to $2,600 to your out-of-pocket costs each year. Health insurance is required for all students who don’t demonstrate adequate coverage. If you have adequate coverage you will be required to complete a waiver process. The College’s annual plan currently costs $1,439 and is due in full at the start of fall term.